North Korean leader Kim Jong-un has paid an inspection visit to an amusement park construction site, the North’s media said Wednesday, publishing Kim’s third reported visit to the newly built facility in Pyongyang. 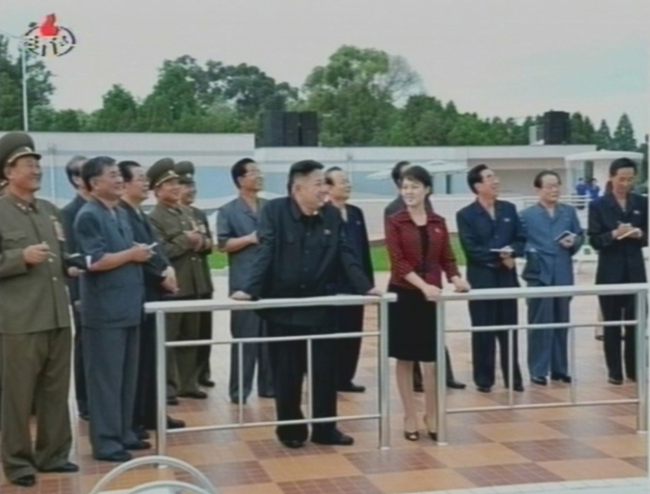 “Marshal Kim Jong-un visited the Rungna People’s Pleasure Ground just before the start of operation,” the (North) Korean Central News Agency (KCNA) reported in an English-language dispatch. The official news outlet has covered Kim’s two previous visits in April and early July to the amusement complex which consists of a mini golf course, a children’s pool, aquarium and several other sports facilities. “The Rungna People’s Pleasure Ground is one of the projects (late) leader Kim Jong -il was specially interested in,” the media quoted junior Kim as saying. Kim underscored the need to build more edifices suitable for the sentiment and aesthetic desire of North Koreans, the KCNA said. Kim was accompanied by a slew of party and cabinet officials including his uncle Jang Song-thaek, according to the North Korean media. In his previous visit to the amusement facilities built on Rungna islet in Pyongyang, Kim was reported to have ordered the completion of its construction before the country celebrates the day of the victory in the war, referring to the June 25 Korean War in 1950 as well as the July 27 truce in 1953.